Taking it easy with a refreshing /nen/beer! It's okay I only sometimes drink during weekends! It was a good post! you cant just measure the quality of a post in (you)s! 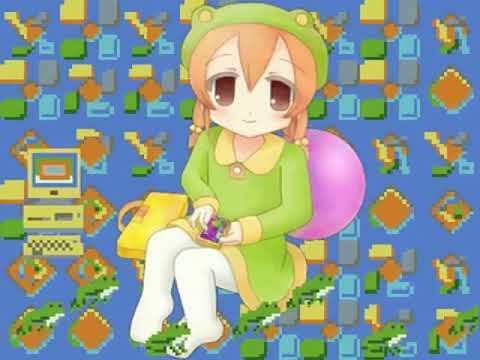 What happened to Nitori poster fren? Everyone on nen is good enough, please don't say that you or anyone else is "no good." Wow this design is so elegant, I love it! Oh Nitori fren was just hiding, ii ne!! Look forward too seeing more of it in 400 years from now. A lazy fridey can be nice too! She has to grow up more. I only ever played the mario one. You can't wear christmas ribbons until after thanksgiving! Post it in all of them! I ended up having to go to work anyways and I'll get to enjoy being sick in bed for thanksgiving, fun! I visited yesterday but did not bump! Are they flying out to visit me? I hope you had lots of tasty food and enjoyed the macy parade or football or the doggy show. I'm vaccinated against this year's kakashi nenflu. They play the NHK news here during the day but I can't speak Japanese. I can understand some though and it's okay to watch a bit. So many tasty snacks in the bump thread! I have a refreshing nensake for tonight! Whats sake like? I wanna try it. It's somewhat like wine but not as sweet or strong generally. I really like it, it's very smooth to drink (and shochu is even smoother even though it has a higher alcohol content). heyo /nen/ Been a Long time, I just happened to think about this place for the first time i a bit so i thought I'd just say high! Make sure to bundle up before leaving the house nen, it's getting cold out there. Nen didn't need to hear this. I always had the ad domains blocked so I never saw those. Sorry! I use a script to help me get images using their API. At the time, Danbooru's required an account, and Gelbooru's was disabled. Maybe I'll look into that some day. Ive added the hops the person at the brew store said was most floral, and just a couple of lavender leaves, as well as two juniper berries to each bucket. The hops will probably be the dominant note in that mix, since theres more of it than the other two. I have so much grain im gonna have to make two worts in two buckets. Instead of making second runnings as I was planning at first, where after straining the first wort Id just let hot water sit over the remaining grain for half an hour to rinse the remaining sugars off, im gonna treat it as a second infusion too, since I dont have enough storage to make second runnings AND a second infusion. Sure, let us see the fancy /nen/beer. sorry its blurry, Ill have better a better picture of the wort when I open the buckets up again. Can I buy some nenbeer off you? Its a days work, but the research and equipment is actually really easy! At least for how I'm doing it. Thats what spurred me to do it, realizing how easy it seemed. Then, consider that instead of using a mash tun like they describe, you could actually do everything in a bucket and just wrap it in blankets or a sleeping bag to insulate it. buy a brewing bag, so you can just lift all the grain up out of the bucket, leaving the wort behind. other than that, you just have to sanitize all your instruments(use star-san, its easy to find at any brew store or amazon) and follow the recipe. Nitori is just having a snack! Every time I see flip flappers I'm gonna say I wish the show hadn't flopped because I love it. Nico, cast a spell on me! I can almost see "them", though! Nen is changing, all of these posts without punctuation. People are drinking too many nenbeers. I want to hug nenmin! The magic of a smile! Your frens are worth your effort. Correct punctuation isn't hard, I do it subconsciously. toga cute cute cute toga cute!!!! This is how it's going to be? I'm sorry, will that be a problem? I think that's a yam. I'm sure she would be your fren. Maybe if you defeat her in a sumo duel she will be your fren! Nana you're going to freeze like that. Had some weird dreams earlier where I was convinced if you imagine yourself in a house with nothing but closed doors and focus/try to predict on what's behind each door, while also occasionally checking to see what your hands are doing, you'll become lucid with ease. I became lucid three times like this but lost lucidity everytime because I started to fear what was behind the doors. It was cool I guess. Sleep paralysis is very spooky. I used to get that regularly as a kid but haven't experienced it in some years. Guess winters on earth aren't cold enough for her. Every time I went lucid I would wake up pretty soon after. That happened to me once when I fell asleep in class. I was lucky there weren't any scary hallucinations but it was very not ii ne. what are we making for nendinner nana? Had a tasty cigar tonight. Apparently they call them はまき in japan which means something like leaf roll! But its 土曜日 silly aoba! Put on some clothes, /nen/min! You'll catch a cold! It's fine she's back home with her heater. Her skin needs to breathe after wear thick clothes all day ( >>28631 >>28646 ). The aren't extinct! They are just hiding from bullies like you! 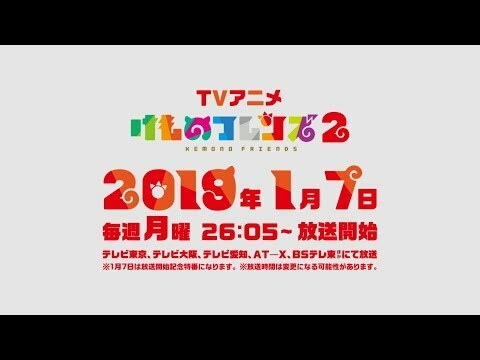 There is a new clip of the Second season of Kemono friends. Kaban isn't in it for some reason though, the animations look odd as well. That's nothing, the first preview has 5.5k likes and 49k dislikes. I can't read Japanese either. I would assume it is to do with the drama around the director being fired though. I would say the dislikes are more political than anything else. why wasn't kaban in the preview? oh well i'm still excited for it! Well, I also heard that they cut Kaban as a character and aren't continuing the first season's storyline. I can see why people would be upset. Welcome back fren, good to see you're still around! that picture is cute though! It looks like it's lagging? The wi-fi on Japari Park isn't so great. I dont think vichan has ghost-banning? Nenmin is professional web developer wizard and can make anything. Does whatmin have programming socks? Please don't talk about other boards on nen, please just don't bring meta here. Heh, whatta ya gonna do about it, nendo? Please don't spread mean rumours! What if we're the banned ones?! I really like the term anime princess island. Let nen be your island, Princess of Anime. Its okay, I think it was mostly fun and not too serious anyways! What is Futo so smug about? Is she running out of usamin power? Get her a six pack, stat! thats a crime!! 17 year olds cant drink alcohol! but what about when you wash the pajama? 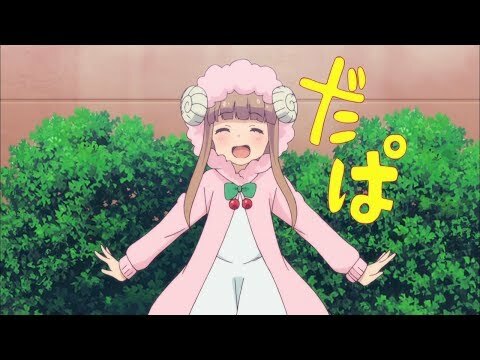 What kind of anime is this I saw someone else recommend it in th e2018 thread? It reminds me a bit of some of the official Touhou manga. It's kind of like Slice of life but more atmospheric and thematic, also it's not focused around being cute and funny like most SOL. Okay I think I'll watch the first few episodes for christmas eve before I re-finish the last few of torardora, thanks for the suggestion! Merry Christmas to all my /nen/frens! I want to relax on a nice long bath but it's just too hot. I got some bath bombs I can't wait to try out but I feel really sick, but I guess thats probably the best time for a bath! We also just hit a cold snap so its super chilly outside so if I do take a bath I'll end up making the bath really hot to cook out my flu. I'm not really sure, I think its like an improved bubble bath with lots of nice smells and stuff. This is my favorite way of relaxing, I have a bath every other day now with various bath bombs or just epsom salts. I just woke up from a nap and tried the bath bomb and it was really nice and smelled really good. My skin feels super soft now too! Just completed the final singularity in FGO. This nana picture is so perfect and cuddly and warm and nennly and literally made my saturday! is nennly a new adjective? is it on the dictionary yet? I like veggie chips, dried pineapple and graham cookies! Different types of tomato-chans are good for snacks, I also enjoy grapes and small clementines. pretzel and hummus or chip and vegan salsa! Is there a salsa that isn't vegan? I need a new years song for later, I always play something to usher in the new year. if you start the last episode of starlight at 23:41:50 then you can ring in the new year listening to スタァライト and the clock will hit midnight right as karen is reborn! Another good choice would be episode 8 where if you start at 23:40:03 you can listen to RE:CREATE and ring in the new year with the tokyo tower splash! eating a big pizza for the new year. Happy new year to /nen/friends who live in the old world! I just got a new years nenpizza too!